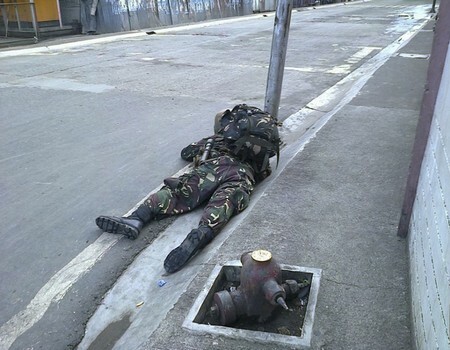 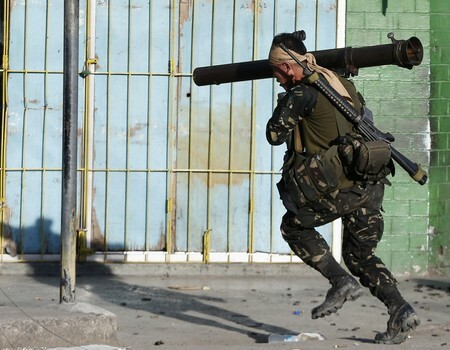 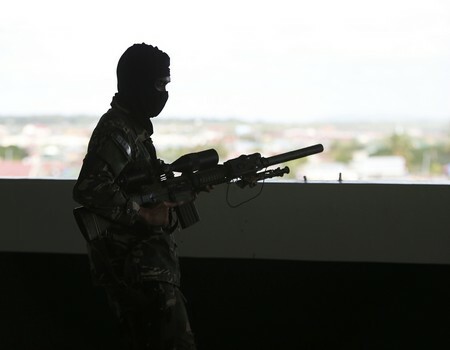 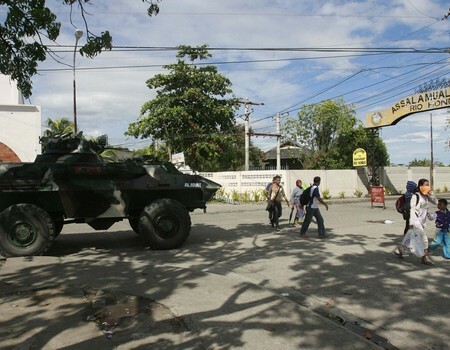 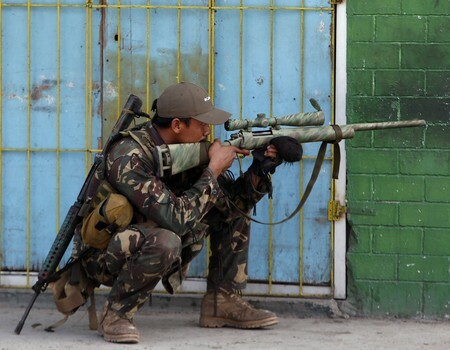 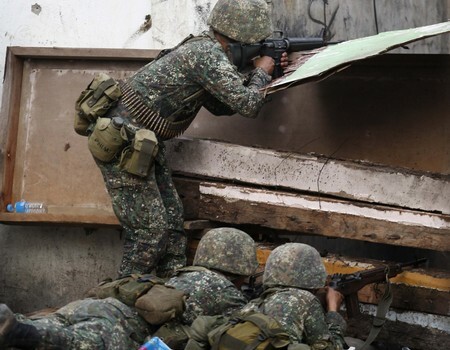 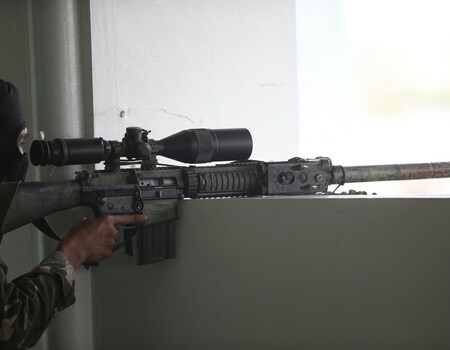 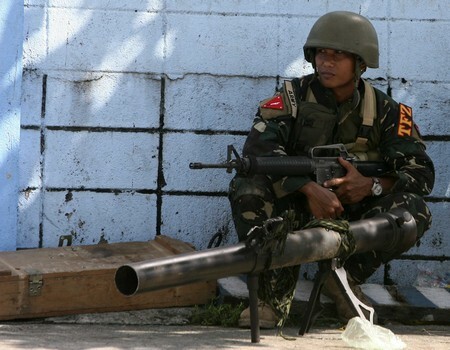 A combat police force sniper gets into position to confront Moro National Liberation Front (MNLF) rebels in downtown Zamboanga City in the Philippines. 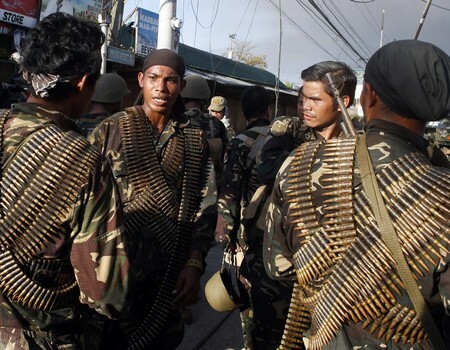 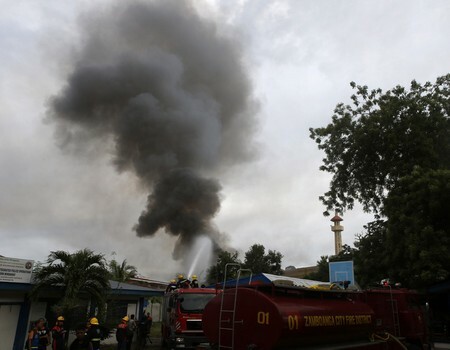 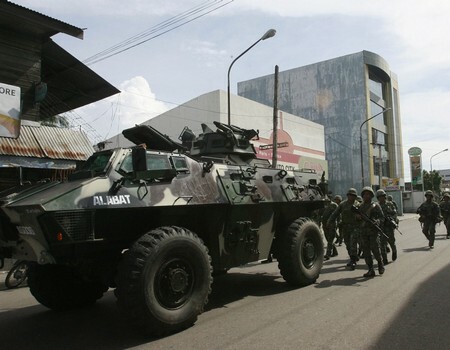 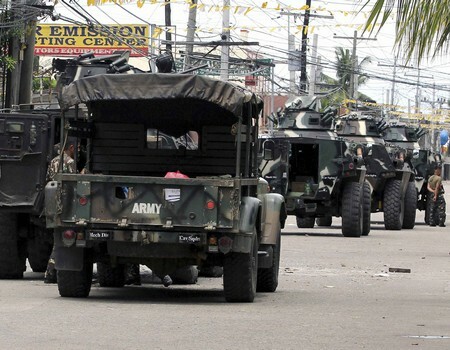 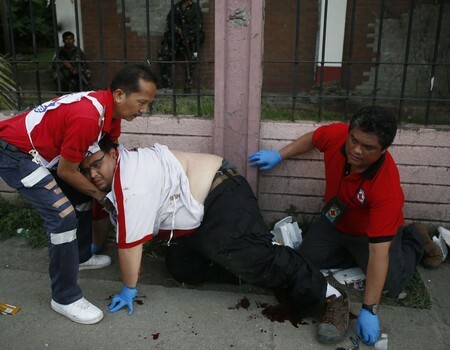 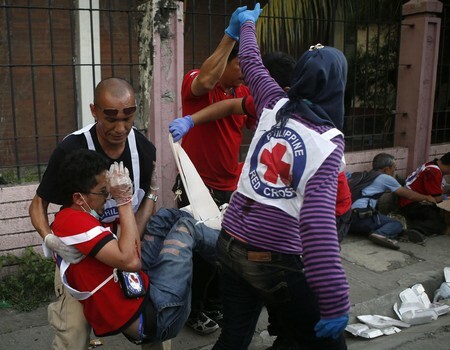 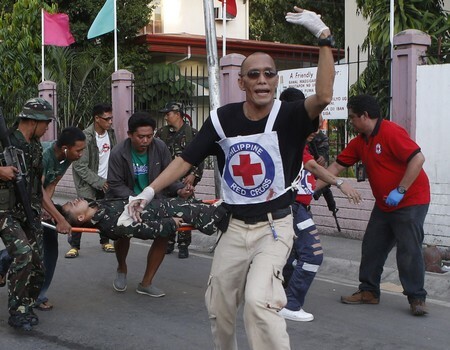 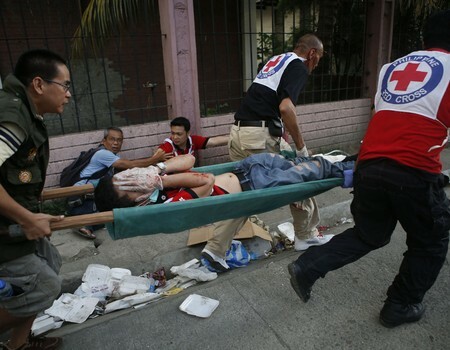 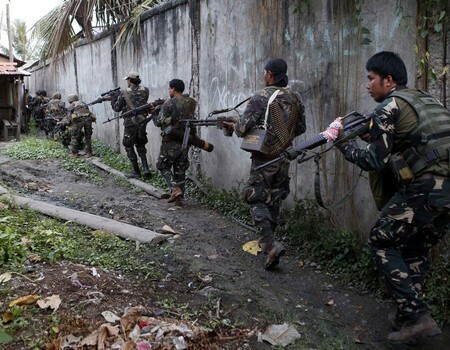 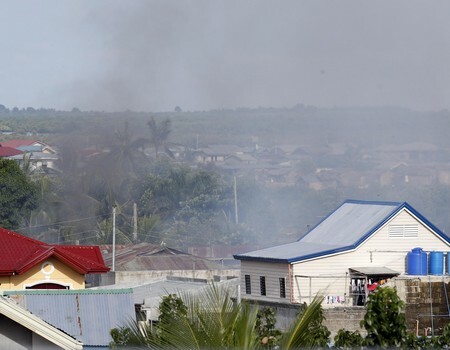 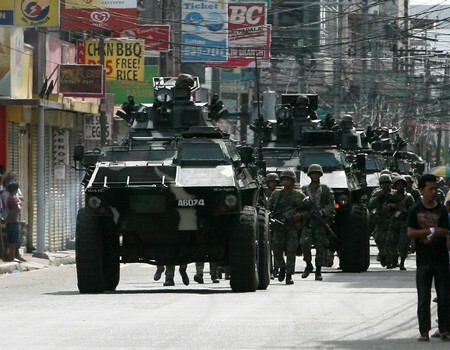 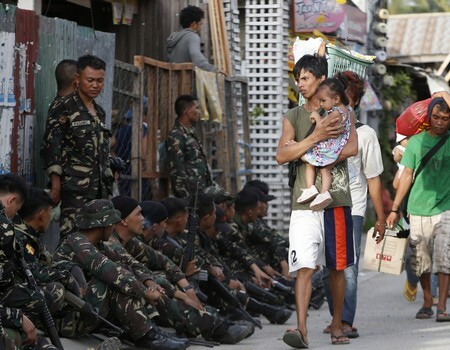 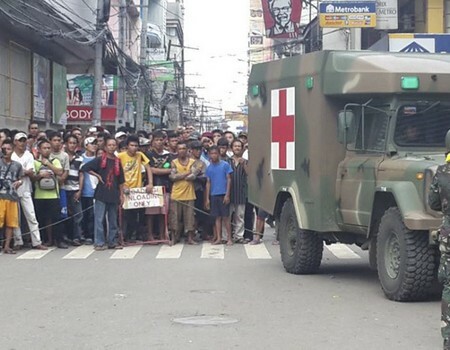 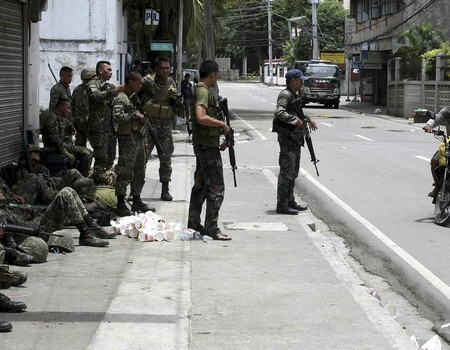 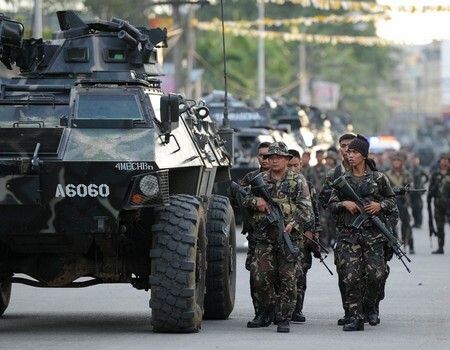 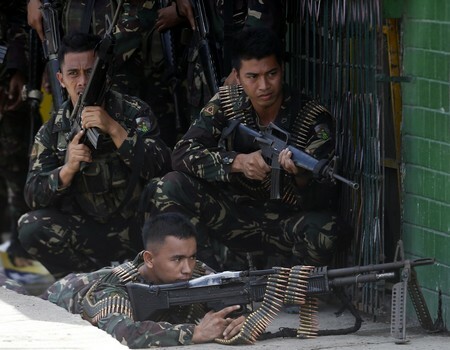 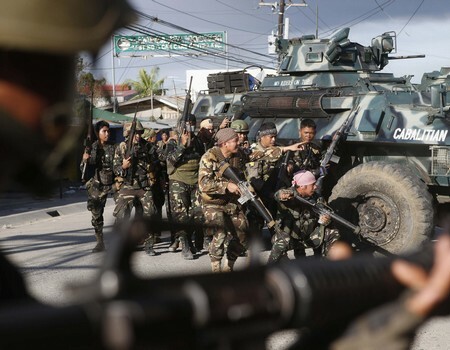 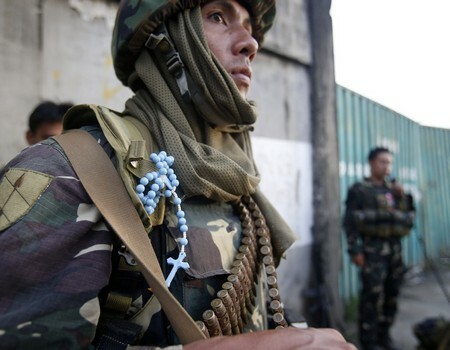 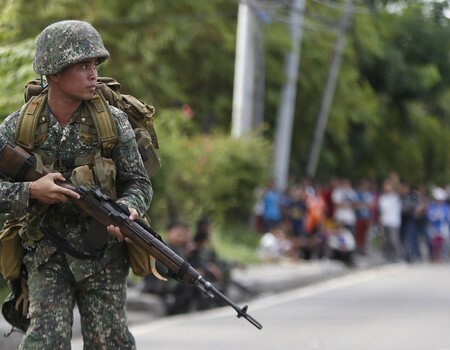 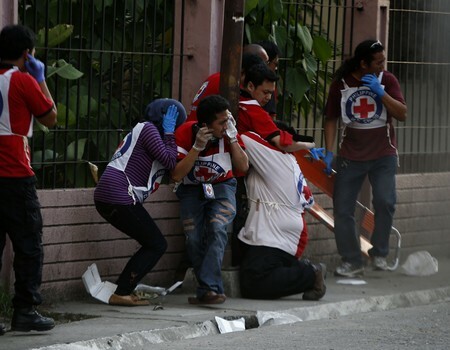 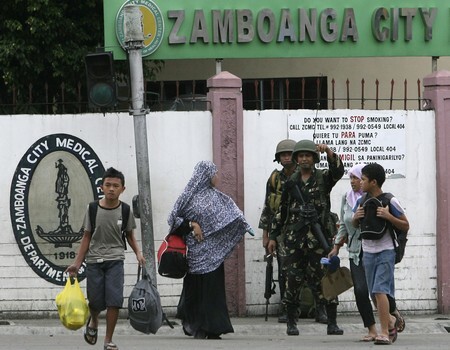 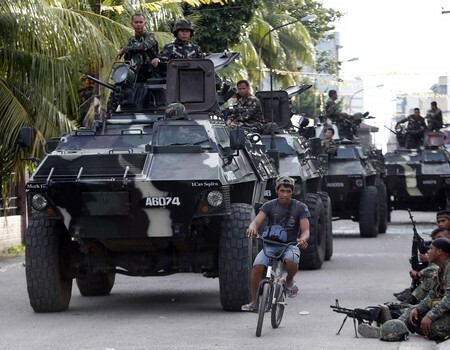 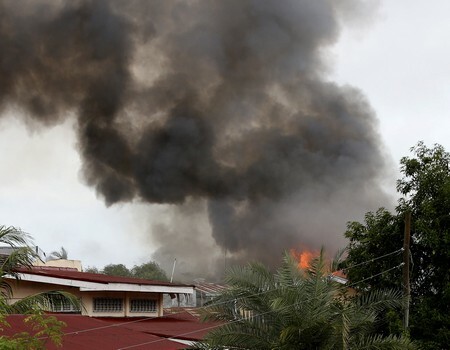 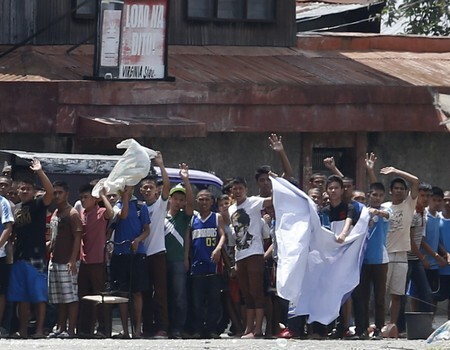 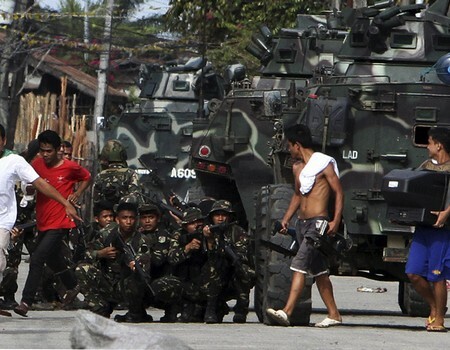 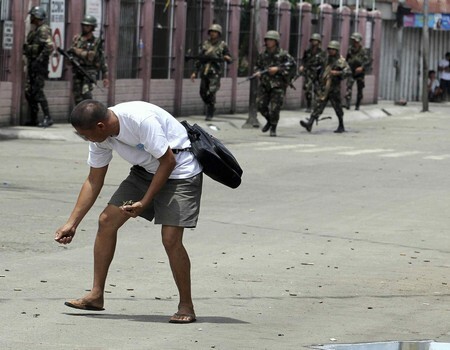 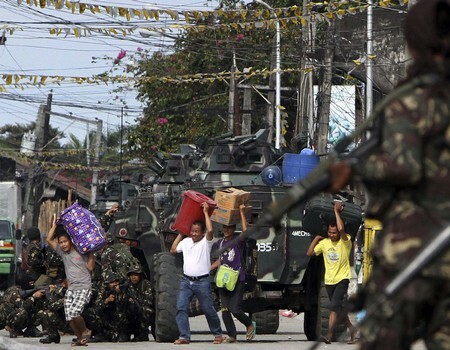 ZAMBOANGA, Philippines - Philippine troops were Sunday closing in on Muslim rebel positions and cutting off escape routes to end a week-long standoff that has left more than 60 people dead in the southern city of Zamboanga, officials said. 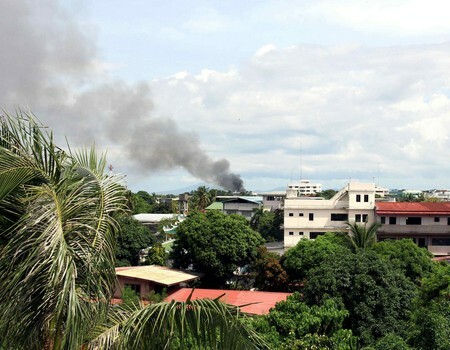 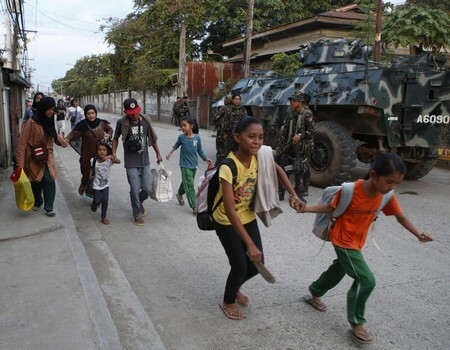 Thousands more residents have fled, while sporadic clashes continued as soldiers moved to clear Moro National Liberation Front (MNLF) gunmen from coastal neighbourhoods after a ceasefire plan collapsed. 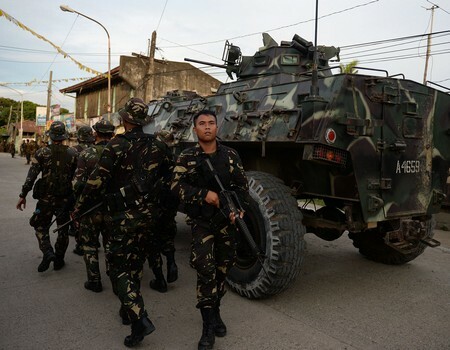 "We are continuing to press forward with our calibrated military response," military spokesman Lieutenant Colonel Ramon Zagala told AFP. 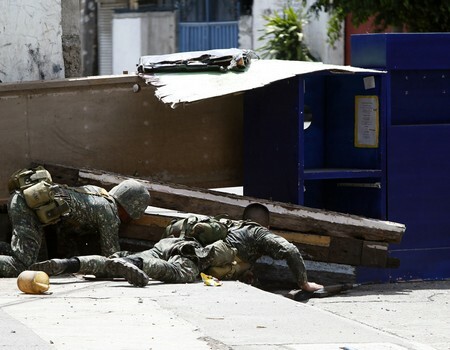 "Fighting is continuing as we speak. 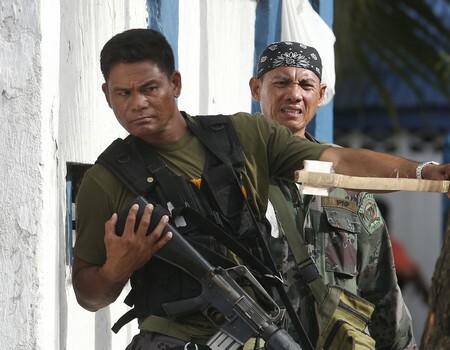 They continue to resist and conduct offensive actions against us." 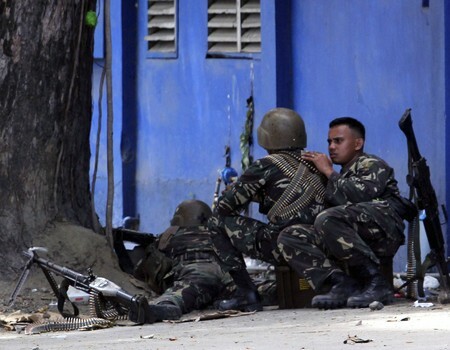 But Zagala said the fighting was concentrated in two coastal districts, while other areas were now secure. 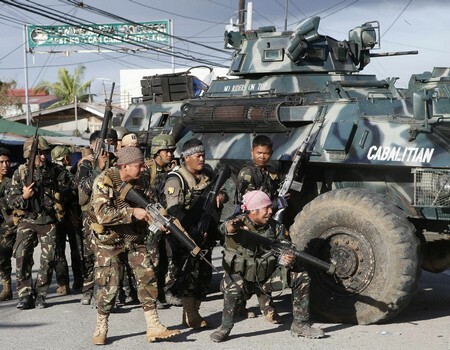 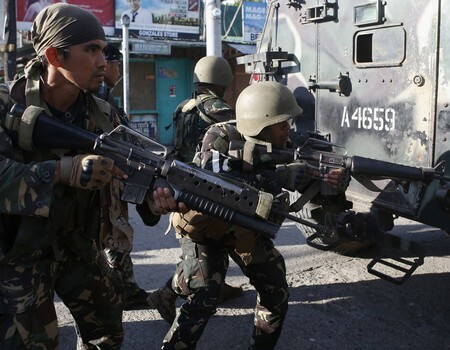 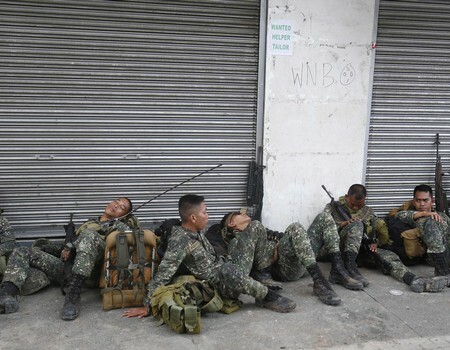 Day and night operations by at least 3,000 elite government troops have now seen 51 MNLF rebels killed, as well as six soldiers, a policemen and four civilians. 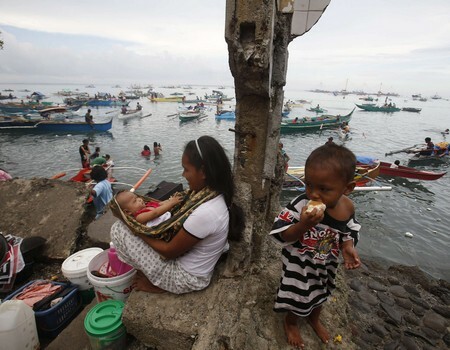 Air and sea ports remained closed Sunday in a crisis that has paralysed the city of one million, seen entire neigbourhoods razed to the ground, and forced tens of thousands to flee. 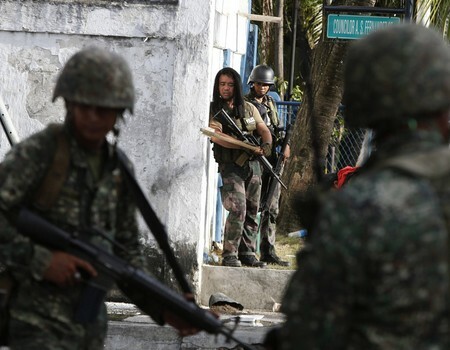 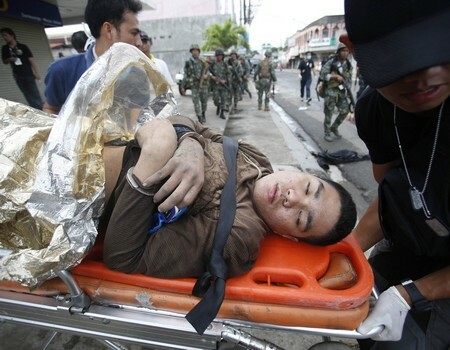 Police on Saturday estimated that the gunmen were holding as few as seven civilian hostages, compared to more than 100 a day earlier, with many either escaping or being allowed to go free. 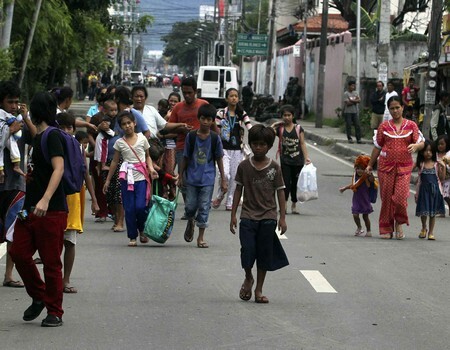 Social Welfare Secretary Corazon Soliman said the number of people who had fled to temporary shelters had risen to more than 69,000 by Sunday morning.